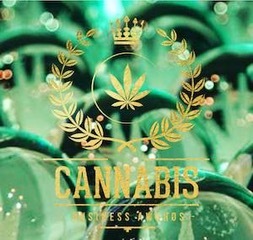 The 7th Annual Cannabis Business Awards was held last Wednesday, at the Hilton City Center, in downtown Denver, CO. The event was created to celebrate outstanding achievements with industry games changers, trailblazers, and cannabis thought leaders. It was an incredible night of networking and fun within the cannabis industry. 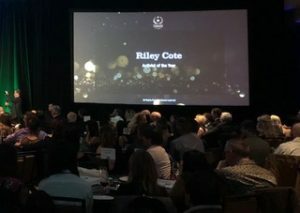 Several athletes were nominated for different awards, some participated as presenters, and former NHL player, Riley Cote, took home the Activist of the Year Award! 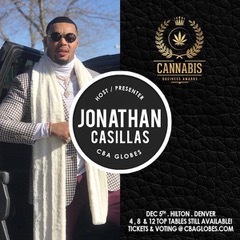 Co-hosting the event, alongside Chloe Villano who is the founder and producer of the Cannabis Business Awards, was two time Super Bowl Champion and former Captain of the New York Giants, Jonathan Casillas. Joining Chloe and Jonathan as a host for the evening, was NBA pro, Al Harrington and special guest presenter Jared Odrick, who played in the NFL for the Miami Dolphins and is now focusing on CTE research and awareness. 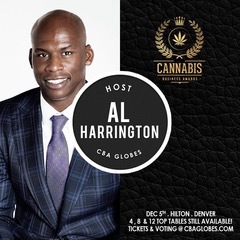 The stage was full of athletes who believe in cannabis, and the nominations were no different. Advocate of the Year athlete nominees included Jared Odrick, Eben Britton, Nate Jackson, Marvin Washington, and boxing heavyweight champion, Shannon Briggs. 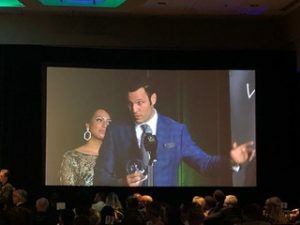 The award for Most Influential Individual had Eben Britton and Al Harrington on the ballot, and Athletes For Care was nominated for Industry Organization of the Year. Although athletes didn’t win these categories, the Activist of the Year award was up for grabs among several athletes, including Boo Williams and Treyous Jerrells, with the recipient of the outstanding award going to Riley Cote. Riley Cote played in the NHL as an enforcer for the Philadelphia Flyers. 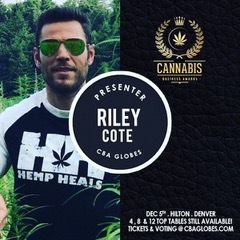 He is one of the Co-Founders and board members of Athletes for Care, the Founder and Director at the Hemp Heals Foundation, and Co-Founder of Bodychek Wellness. 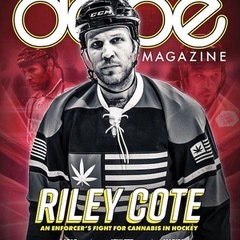 As a representative for Athletes for Care, Cote travels the world speaking and educating about the several medicinal benefits of cannabis. 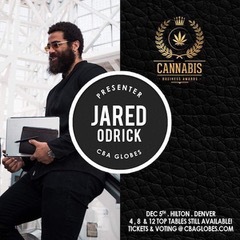 He was recently featured on the October cover of Dope Magazine, which was an entire issue dedicated to cannabis as part of an active lifestyle. It’s important to note the presence of so many athletes in the cannabis space because it highlights the medicinal benefits of cannabis being utilized at a professional level of physical and mental performance. 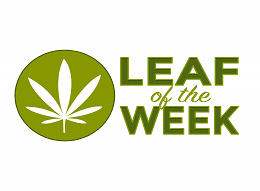 This is helping change the negative perception of cannabis consumers, and helping pave the way to federal legalization. 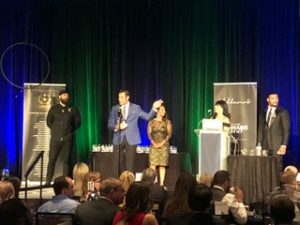 Congratulations and thank you to all of the nominees, those who took home awards, and to Chloe Villano and her team for all your time and effort in progressing the cannabis industry in the right direction.